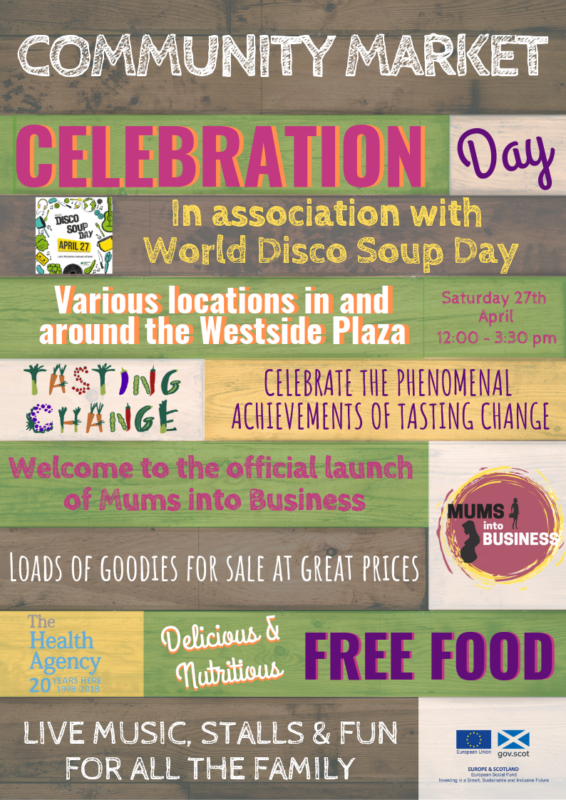 Tasting Change will be holding a Community Market Celebration Day is association with World Disco Soup Day at Westside Plaza on Saturday 27 April 2019, 12.00pm – 3.30pm. If you came along to last year’s World Disco Soup Day, you’ll remember the fabulous food and music. This year there will also be market stalls with the Mums Into Business group holding their first outdoor market offering a range of great goodies at affordable prices. Head along and celebrate all the achivements of the Tasting Change project and take part in some of the family fun activities. For more information contact Stacey Wilson, the Tasting Change project coordinator on 07733342547 or stacey@thehealthagency.org.uk.